This royal throne of kings…. Faithful and committed relationships offer a door into the mystery of spiritual life in which we discover this; the more we give of self, the richer we become in soul; the more we go beyond ourselves in love, the more we become our true selves and our spiritual beauty is more fully revealed. In marriage we are seeking to bring one another into fuller life. The British are masters at mounting pageants of this kind. I read somewhere that the wedding celebrations were actually scaled down, to suit the austerity of the times. If this was scaled down, I would truly love to see ramped up! The complete program for the wedding is available online. I thought her dress was gorgeous. She was gorgeous! I loved every minute of it. 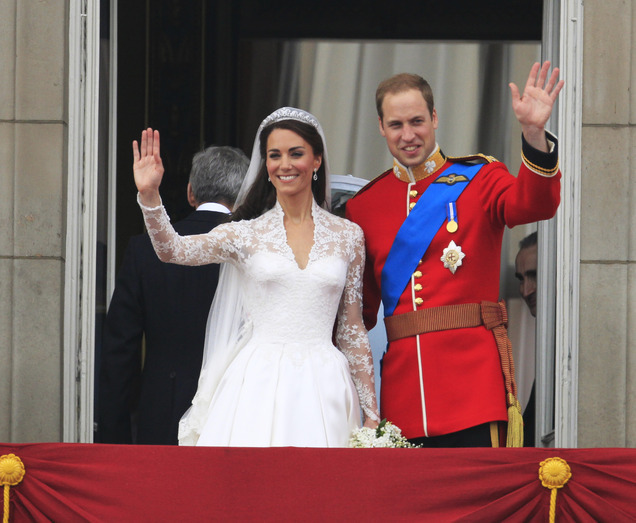 And now, on a somewhat lighter note: This video is entitled “Royal Wedding Entrance Dance – Prince William & Kate Middleton T-Mobile. It was obviously done in a spirit of fun – playful and affectionate at the same time. And I have to admit, they had me fooled at first! Last but certainly – most certainly! 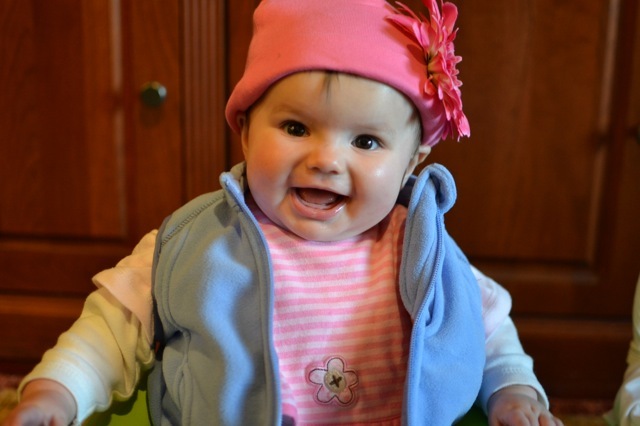 – not least, we have an exclusive photo off Miss Etta Lin wearing her royal wedding hat! In dying, he now realized, you do not encounter death at all, for you are gone before it gets there. You die in the same way that you fall asleep: by drifting away. If other people try to pull you back, you hear their voices on ‘the edges of the soul.’ Your existence is attached by a thread; it rests only on the tip of your lips…. Dying is not an action that can be prepared for. It is an aimless reverie. “It is finished!” said someone near him. 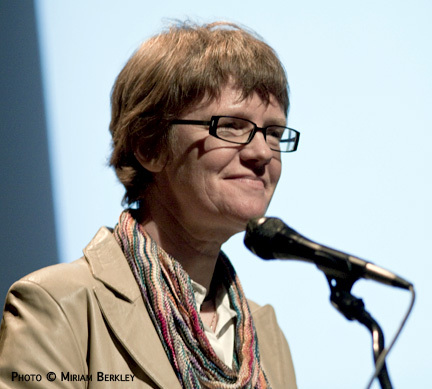 Adds Bakewell: “‘Don’t worry about death’ became his most fundamental, most liberating answer to the question of how to live. It made it possible to do just that: live.” And this is why a book entitled How To Live begins with death. In fact, this book opens and closes with this same subject. 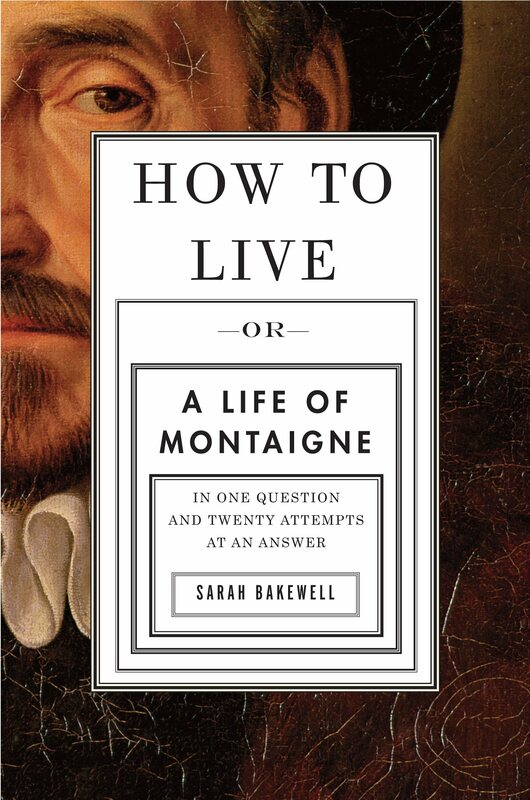 Montaigne’s own death was excruciating and very hard to read about; especially since, in the course of Bakewell’s recounting of his life, I had developed a real affection for the man. 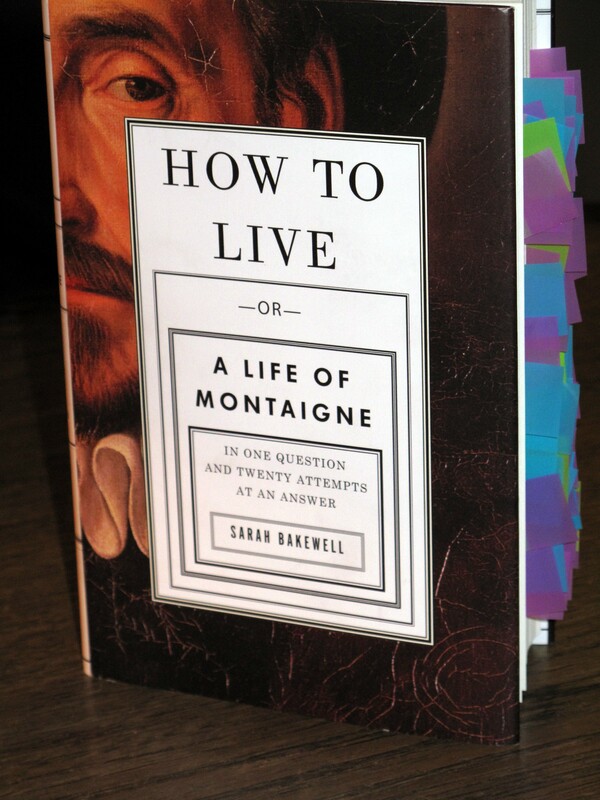 While it is true that Montaigne’s final illness was anything but “an aimless reverie,” he faced it surrounded by family, friends, devoted servants. He displayed extraordinary courage throughout. I finished How To Live in tears, thinking “Ave atque vale” – Hale and farewell to a truly noble spirit! 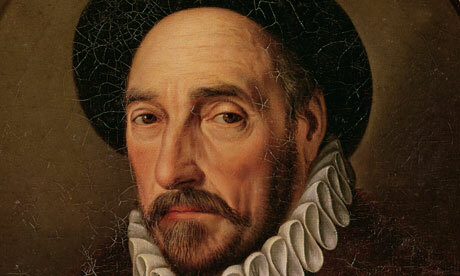 How To Live is a sort of dual biography, of the man Michel de Montaigne and of his masterwork, The Essays. 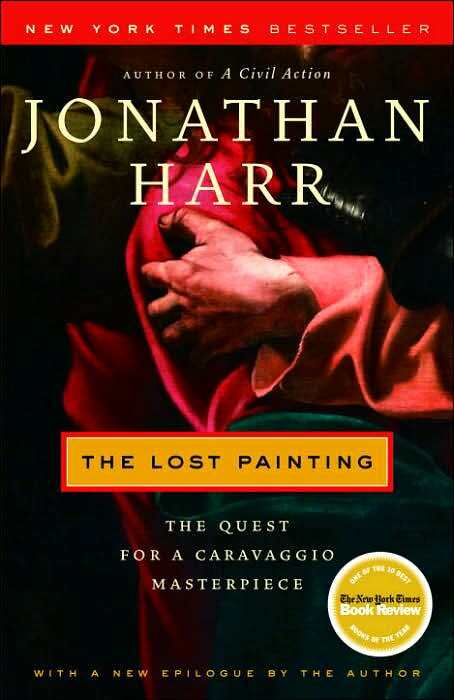 It is a crowded canvas, filled with interesting characters and fascinating highlights of the history of sixteenth century France. This latter consists primarily of religious wars and is very dispiriting to read about, but it provides a vital context in which to appreciate the life and singular achievements of Montaigne. Initially, I got this book from the library. By the time I had finished the first chapter, it was already bristling with post-it flags. I was going to have to buy it. This is what my own copy now looks like: . I’ll have more to say about How To Live in future posts. I googled the painting and discovered a marvelous BBC documentary posted on YouTube in five parts. I just watched it all the way through, and while there are a few minor glitches in transmission, most notably in the synchronization, or lack of same, of speakers and voices, the video quality is superb and the commentary is fascinating. 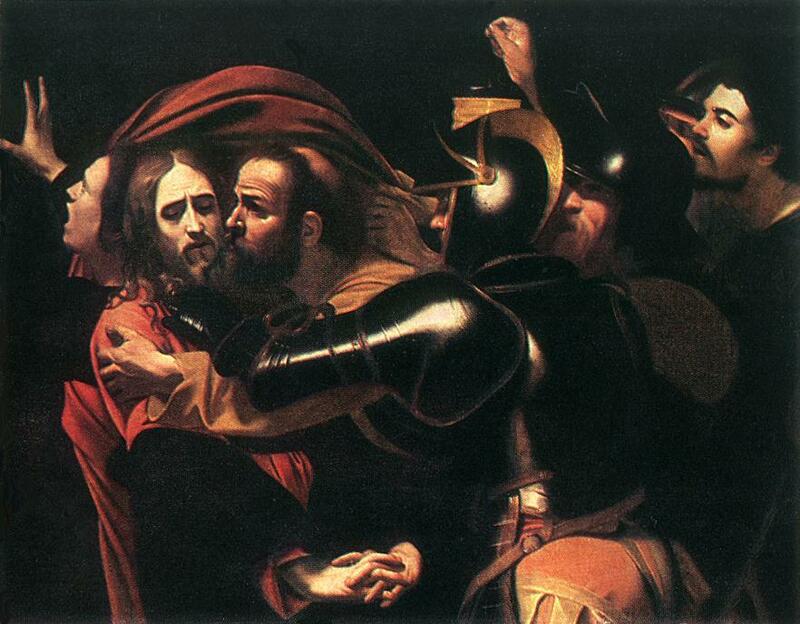 In order to view “The Making of an Easter Masterpiece: The Taking of Christ by Caravaggio,” click on a playlist of all five videos. Have I ever before been to the Metropolitan Museum of Art and not gone up to the second floor to view the European paintings? It does seem to me now that the art of the Middle Ages holds the key to the true life of the spirit, a life that lingers after the body has gone. This object is called a polycandela. It is just what it sounds like: a device for holding several candles. 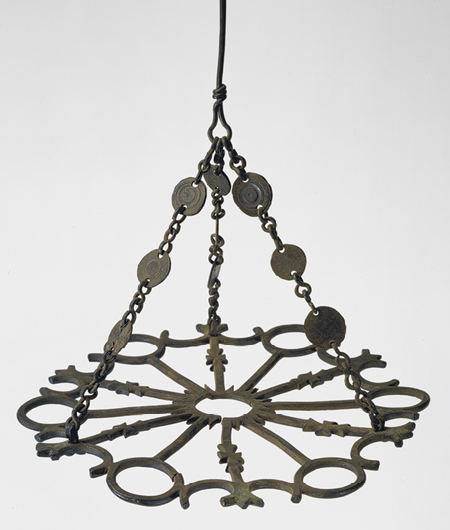 (You could think of it as an ancient chandelier.) It’s in a case displaying Byzantine art and artifacts from between 500 and 700 AD. These display cases line a corridor that leads to the stunning medieval art, the (absolutely gorgeous) French decorative arts, and even more spectacularly, the Robert Lehman Collection. I can’t recall if I have ever stopped to examine their contents. His theme was that stories of the dead revisiting the living could not be taken at face value. Some of them, he wrote, were nothing more than childish superstitions that only children and uneducated women were likely to credit. Others were misunderstandings and delusions, perpetrated in good faith, but now increasingly explicable as natural science revealed more and more of the truth about God’s universe. Holdsworth had an intensely personal reason for penning this treatise. When his son Georgie accidentally drowned, his distraught wife became obsessed with what she claimed was Georgie’s ghost. Eventually she too died, worn out with grief and obsession. At this very low point in his life, John Holdsworth receives an unexpected summons from a wealthy aristocrat, Lady Anne Oldershaw. Lady Anne has read Holdsworth’s book, and she has just the commission for him; namely, to find out what has befallen her son. Frank Oldershaw is a student at Cambridge’s Jerusalem College. He claims to have seen the ghost of a recent drowning victim, a young woman named Sylvia Whichcote. This sighting seems to have engendered a kind of madness in Frank,who is currently under the care of a local physician. Lady Anne is not well enough to travel; she needs an emissary who can report back to her on just what is going on in Cambridge. She firmly believes that John Holdsworth is the man for the job. For his part, Holdsworth could use the generous retainer offered by Lady Anne. And wouldn’t it be a good thing to get away from his house by the River Thames, with its bitter memories? And so Holdsworth journeys down to Cambridge. Once there, he finds himself confronted with a fiendishly complicated set of circumstances. He must speak to many people to try and get at the truth of the matter. Yet these same people proceed to tell him half truths or even outright lies, misrepresenting their own actions, and even more so, their true motivations. Holdsworth finds Frank Oldershaw in the care of a Dr. Jermyn. Not only in his care, but lodged in his premises. Jermyn believes that this is the best arrangement for his disturbed patients; there are others dwelling there besides Frank. Holdsworth gets an opportunity, albeit brief and carefully controlled, to observe Frank’s treatment in this sort of ad hoc asylum. The young man and his fellow patients are under guard at all times; any sign of undesirable behavior meets with harsh reprisals in the form of withheld food or even physical punishment. Frank has been provided with a limited amount of reading material, and he’s required to perform manual labor. Dr. Jermyn explains that these conditions are imposed in an effort to help the disturbed individual regain full use of his faculties. Holdsworth is skeptical. He’d like to talk to Frank alone. The good doctor will not allow it. 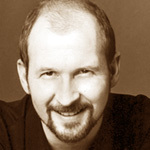 But Holdsworth is about to display a resourcefulness and determination that more than justify Lady Anne’s faith in him. In other words, he is not about to take no for an answer. While carrying out his investigation, Holdsworth lodges at the home of the Reverend Dr. Carbury, Master of Jerusalem College. Dr. Carbury is a stolid, unimaginative type, but his wife Elinor is cut from an altogether different cloth. While not beautiful, she is spirited and intelligent. She is also trapped and restless. Holdsworth notes all of these qualities – and more…. 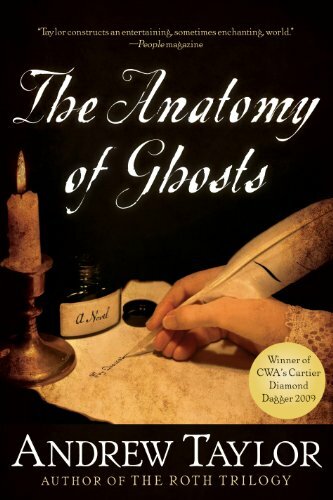 The Anatomy of Ghosts is peopled by a large cast of characters. One of the most diverting was Harry Archdale, a well-meaning undergraduate whose list of peccadilloes seems endless. Then there’s Philip Whichcote. It was Philip’s wife Sylvia who had died and whose ghost bedevils Frank Oldershaw. You would think that this would make her widower an object of sympathy. But Philip Whichcote is one of the least sympathetic characters in the novel. He presides over an entity called the Holy Ghost Club. It is comprised of undergraduates, eager and foolish young men who in return for a certain sum of money, are instructed by Whichcote in “…the vices of a gentleman.” These are mainly comprised of drunkenness and gambling; in addition, there is one particular membership rite that is truly revolting. Reading about the depravity and debauchery that ran rampant in that assemblage, I felt as though I were face to face with real evil. The eighteenth century was not a glorious period for English universities….At Oxford and Cambridge, individual colleges followed their own idiosyncratic paths with little to guide them apart from their own statutes, which were at least two centuries out of date, as were the syllabuses that the universities prescribed for their students to study. Moreover, there seemed to be precious little actual studying going on, with gambling, drinking, and carousing generally taking precedence. I know – you’re thinking, so what else is new? Still. one does have a certain image in mind of the two above named institutions of higher learning, and the goings on described in Taylor’s novel do not fit in with that image. Holdsworth plunged into a dark and narrow street running to the south. Out of necessity he walked slowly. There were fewer people here and fewer lights, but the buildings pressed in on either side and the air seemed no cooler. The alley was cobbled, with a gully running down the middle. The stench was very bad. Heaps of refuse oozed across the footpath. There was a constant pattering and scuffling of rats, and every now and then he glimpsed their scurrying long-tailed shadows. As you can see from the above, Andrew Taylor does a marvelous job of evoking the time and place of which he writes. 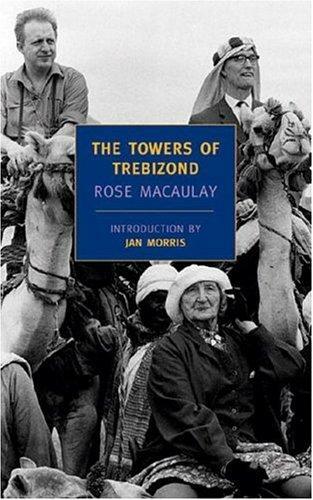 I’ve often said of both histories and historical fiction: Transport me there! This the author has done, in a convincing and compelling manner. Dinner on Sunday was a lengthy affair, and one that had an air of celebration. They began with fresh salmon boiled and garnished with fried smelts, anchovy sauce and shrimps, with a calf’s head. chicken pie and a chine of roast mutton. The second course involved a haunch of venison with gravy sauce and currant jelly. There were also collared eels, a green goose, lobsters and tarts. Well, gosh….Perhaps we should add gluttony to the list of besetting sins of the era. 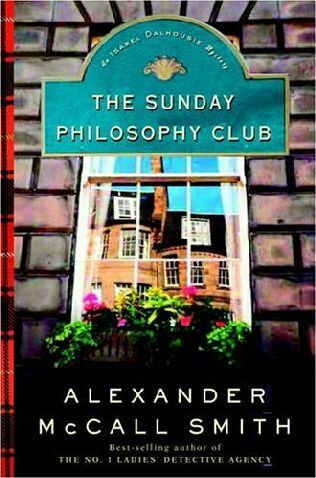 From what I’ve read thus far, I gather that one of the aims of the Philosophical Breakfast Club was to rectify the just the sort of curricular backwardness alluded to above. 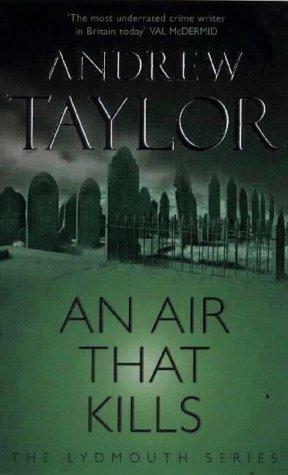 In preparation for the upcoming trip, I just reread the first Lydmouth novel, An Air that Kills. I liked it even more this time around. My final word: this is the best historical novel I’ve read since Wolf Hall. A wonderful book by a wonderful writer. We went to concert at the Kennedy Center on Friday April 10 primarily to hear Mahler’s Fourth Symphony. Christoph Eschenbach was conducting the National Symphony. 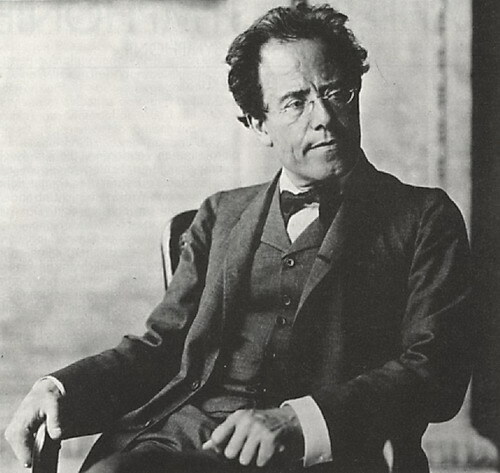 Video of Eschenbach conducting several of Mahler’s symphonies can be seen on Medicitv. We’ve watched most of them, and so decided that seeing the newly appointed director of this orchestra conduct Mahler live was an opportunity not to be missed. 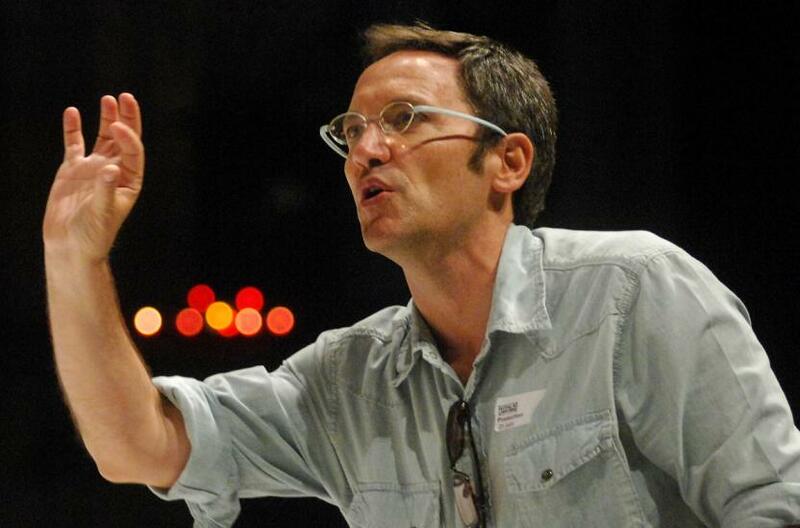 Next came a rather unusual piece for orchestra and soloist by Osvaldo Golijov. 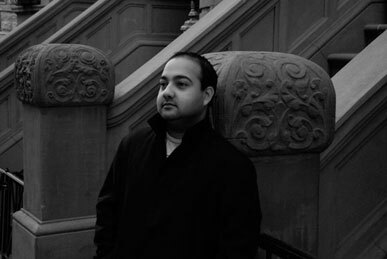 The work was entitled She Was Here, Four Songs by Schubert. This was somewhat confusing. 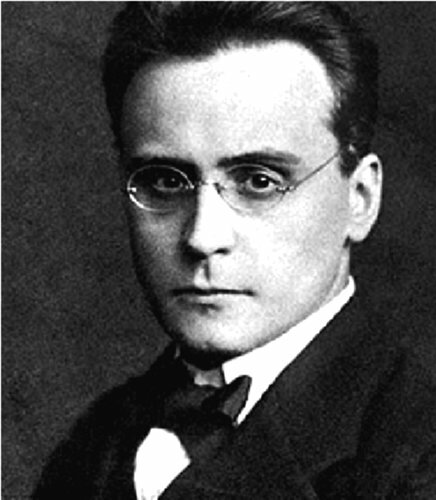 Who exactly is the composer: Golijov or Schubert? It turns out that Golijov orchestrated four songs by Schubert. Our soloist for the evening was the luminous Dawn Upshaw. If I interpret the program notes correctly, Golijov actually wrote this work for her. I enjoyed it, although I did not hear much of Schubert in it. 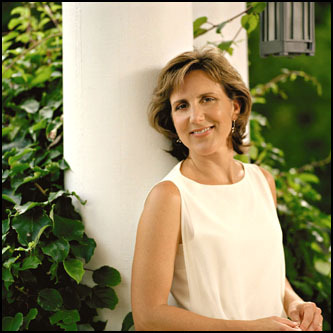 Dawn Upshaw was also the soloist for the final work on the program: Symphony Number Four by Gustav Mahler. I’ve been working on this post for a week and cannot seem to finish it. I keep needing to stop and listen to the music. I could pile on the superlatives, but I think I’ll just go to the video. 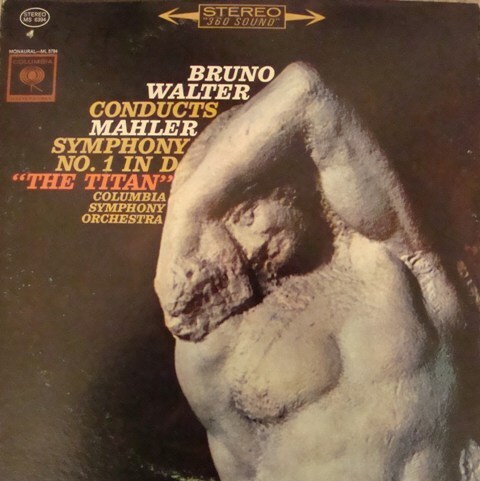 Unusually for large scale symphonic works, this Fourth ends by fading away gradually and almost imperceptibly. Note that in video above, Bernstein s baton slowly falls; the audience seems uncertain as to whether to begin the applause. At the concert we attended, Eschenbach did something rather extraordinary. As the music transitioned to silence, he sought to prolong the moment by standing for some time utterly still, with his baton pointing straight up. The hall became completely quiet; the moment seemed interminable. Then Eschenbach let the baton drop to his side, and the applause began. The chairs were arranged so that Alexander McCall Smith would enter the room via a central aisle. This he did, shaking hands with audience members as he made his way to the podium. I was pleased to note that he was attired in a kilt, but I could not get a photo due to the surrounding crowd. From the moment this distinguished gentleman began to speak, he had us in the palm of his hand. He was by turns informative, serious, lively, and thoughtful. But more than anything, it was his ready, facile wit that produced great entertainment for his captivated audience. First lines, he assured us, must be as memorable as you can make them because often reviewers and critics get no further than that into the work at hand. This does not stop them from reviewing said work. He was very definite about this. Out of Africa is obviously a title cherished by McCall Smith. 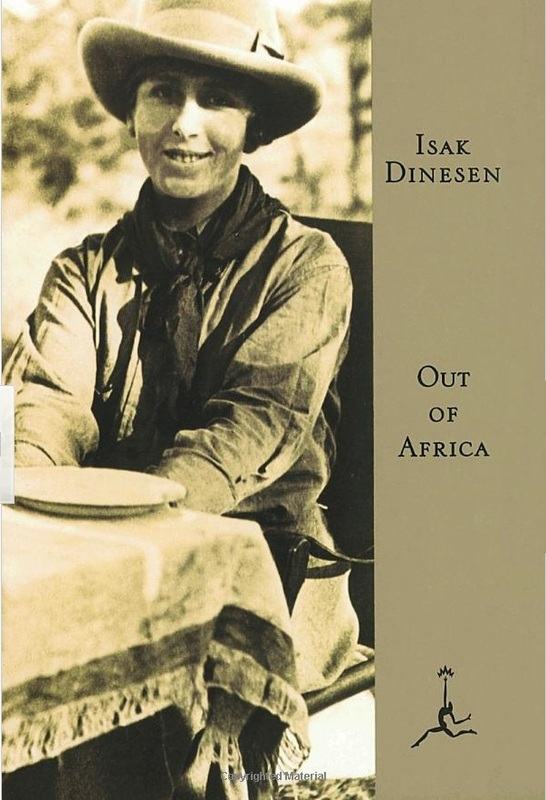 He recalled traveling to Denmark and visiting the home of Karen Blixen, which has been kept as it was as a memorial to the author. McCall Smith was especially entertaining in the subject of book clubs, though he trod somewhat carefully, knowing there were plenty of participants in this activity in his audience. First, he begged us to be merciful, as the authors we were discussing might be suffering from a painful malady, like gallstones. Particularly gallstones. (I didn’t quite “get” this specific reference. Perhaps he himself has had to endure that particular affliction?) He opined that nearly every book club has one member who knows far more than everyone else and isn’t shy about parading that fact in front of everyone. As a remedy for this problem, he suggests quoting Proust, adding that he own a Proust concordance that’s marvelously handy for the purpose. It allows him to quote the great French novelist on virtually any topic without having actually read the novels! He also suggested that book groups draw up a constitution. Then, when someone is engaging in irritating behavior, someone else can point out that she – and it’s almost invariably a “she” – is violating the rules laid down by said document. At this point in the proceedings, McCall Smith interrupted himself – “You may wonder where this talk is going?” He reminded us of the title, The Very Small Things of Life, but really, no one was worried about what direction he was taking; we were all having too much fun! 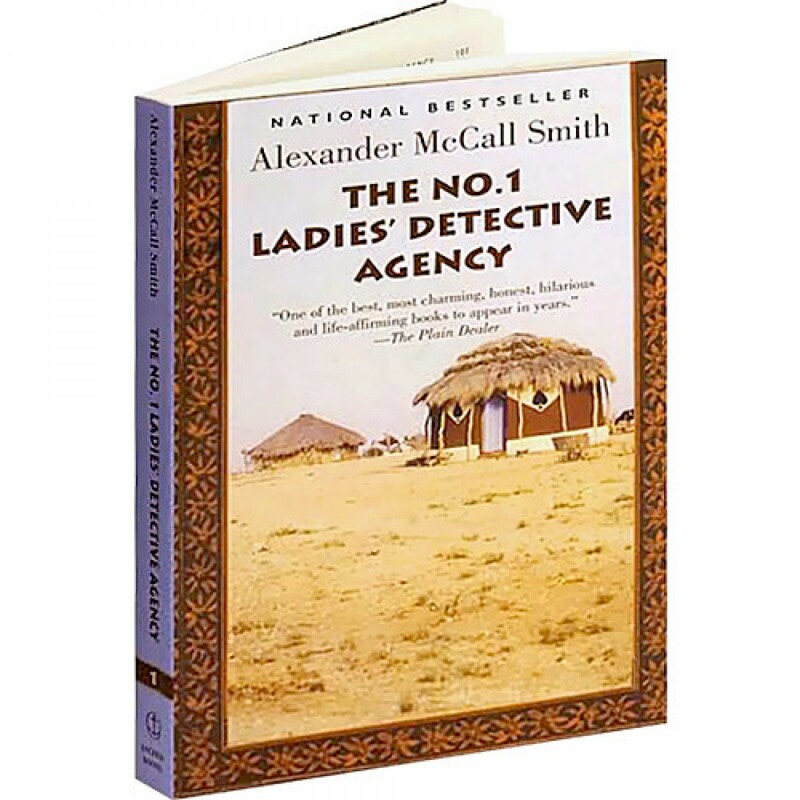 Here, McCall Smith brought up the subject of the Detective Agency’s sole and vital reference work: The Principles of Private Detection by Clovis Anderson. This book, he declared, is driving him crazy! Apparently readers keep asking him how to obtain a copy. It is, of course, purely product of his amazingly fertile imagination, but who knows – He may have to break down and write it some day. 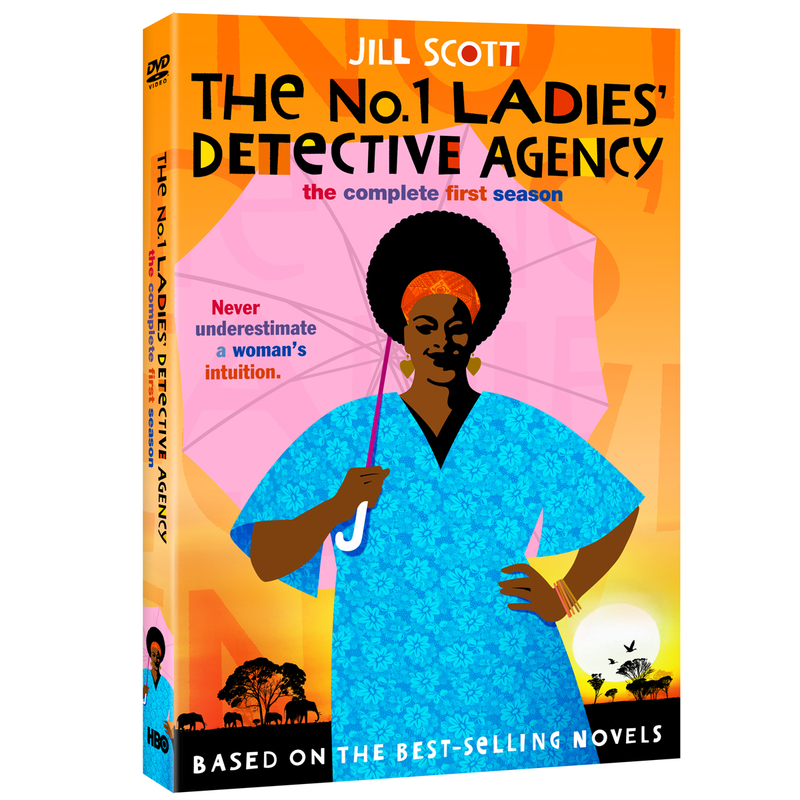 Meanwhile, though, he gave us a delicious tip: In a future installment in the series, the Great Man himself will travel to Botswana and honor Mma Ramotswe and Mma Makutsi with a visit to the Detective Agency office! It is then that the two women discover something rather surprising about Clovis Anderson…but Readers, I will let you find out for yourselves, in a future installment, what that something is…. 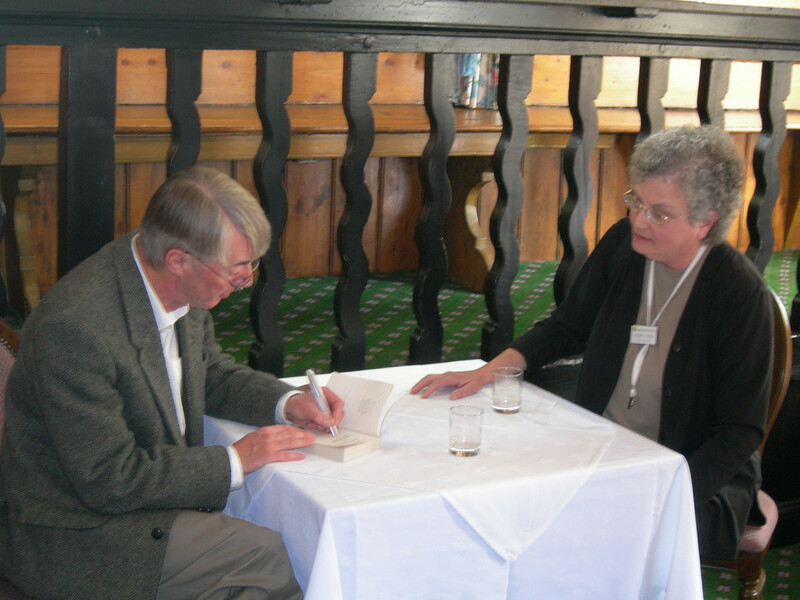 On the subject of the Isabel Dalhousie series, the author stated that the eponymous protagonist and he share an interest in ethics. (Isabel, holders of a doctorate in philosophy from Cambridge, is the owner/editor of a small, highly respected professional journal called The Review of Applied Ethics. McCall Smith was the chairman of the British Medical Journal’s Ethics Committee until 2002; he has also served as a member of the International Bioethics Commission of UNESCO. ) He also revealed that initially, the relationship between Isabel and Jamie, who is fourteen years her junior, was supposed to be purely platonic. 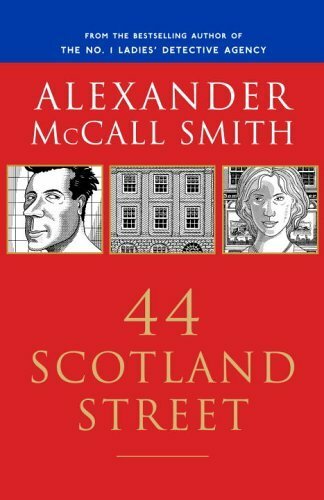 Advised that the development of a full blown romance between the two would be “empowering” for his legion of female readers, McCall Smith altered the nature of the relationship accordingly. 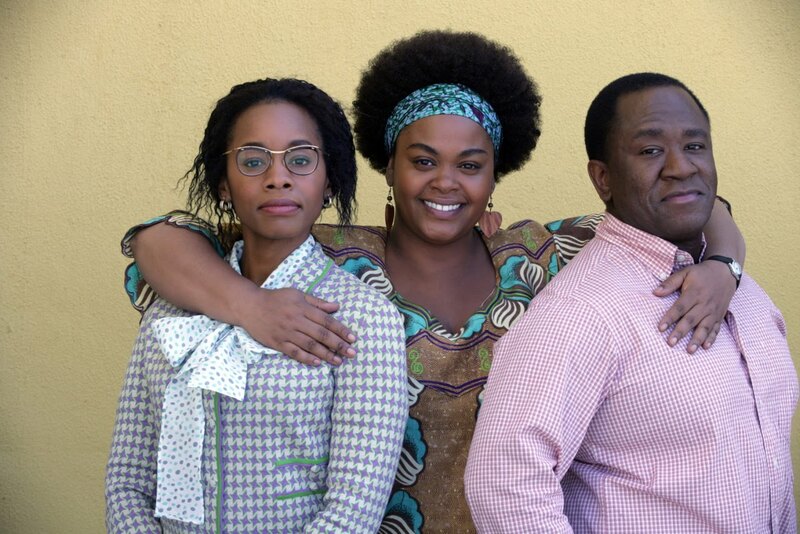 [I’d like to inject a personal note here and say that although I am a great fan of Mma Ramotswe and company, I’m an even greater fan of the Isabel Dalhousie novels. Each one is better than the last! I love the rich admixture of art, literature, philosophy, and passion. The entire series is a love letter to the city of Edinburgh. (If you’ve been there, then you’ll know that splendid small metropolis to be a worthy recipient of such deep affection.) 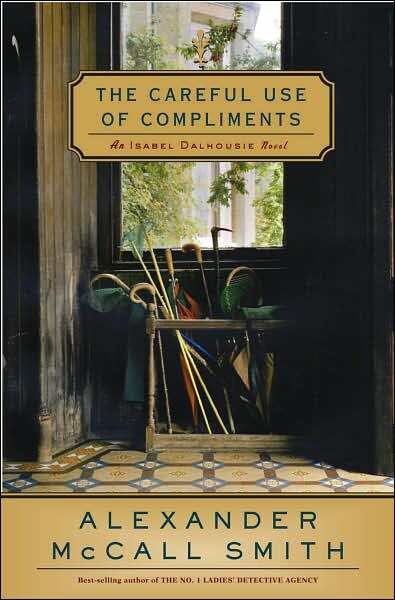 McCall Smith depicts the happiness and heartache, the vulnerability and certainty that are alternately the lot of Isabel Dalhousie in a way that I find completely convincing. I would have liked to hear more from the author about this extraordinary creation of his, a woman who seems so real that I feel as though I actually know her. Freddie was the star of the second book in the Corduroy Mansions series, The Dog Who Came in from the Cold, in which he was recruited by MI6 to infiltrate a gang of Russian spies. 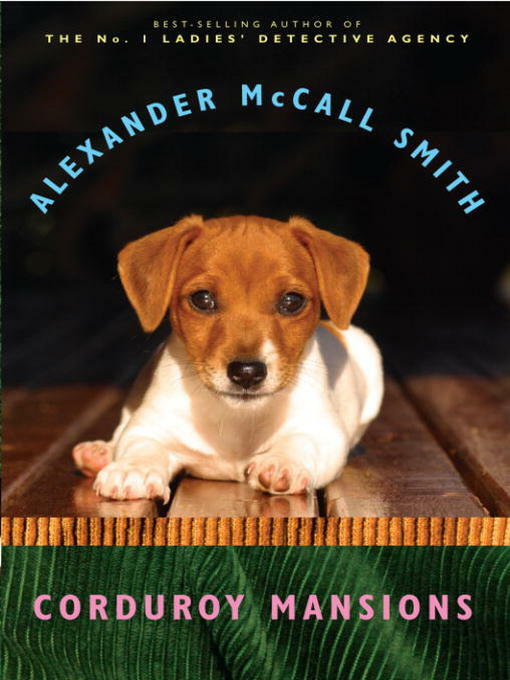 Click here for more information about McCall Smith’s series. The 45 minutes allotted for McCall Smith’s talk flew by. Then it was time for questions. Someone asked how it is that McCall Smith writes so convincingly from a woman’s viewpoint. His rejoinder was instantaneous: “Well after all, I’m wearing a skirt!” He went on to say that empathy is one of the novelist’s most powerful tools. It’s what enables him to write his woman characters so effectively. The final question – posed by my book-loving friend Meredith – had to do with a book she particularly esteems: La’s Orchestra Saves the World. 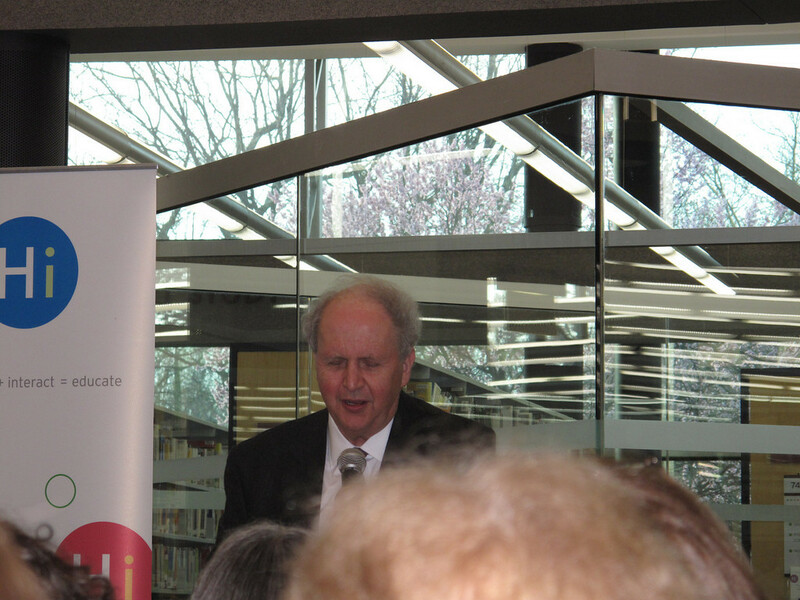 McCall Smith thanked her for her question – in fact, he thanked each person who’d had a query for him. I haven’t read this title, and I learned that it involves Polish fighting forces and Polish prisoners of war in England during the Second World War. McCall Smith spoke with some emotion on this subject. Apparently recognition of the contribution of these individuals was very late in coming, an injustice that was only barely rectified in time. Here’s a review of the novel, and here’s an interesting article in Wikipedia. 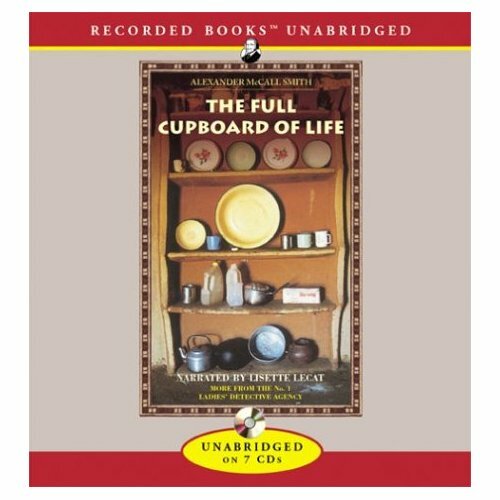 The book is also about the healing power of music, something in which McCall Smith strongly believes. 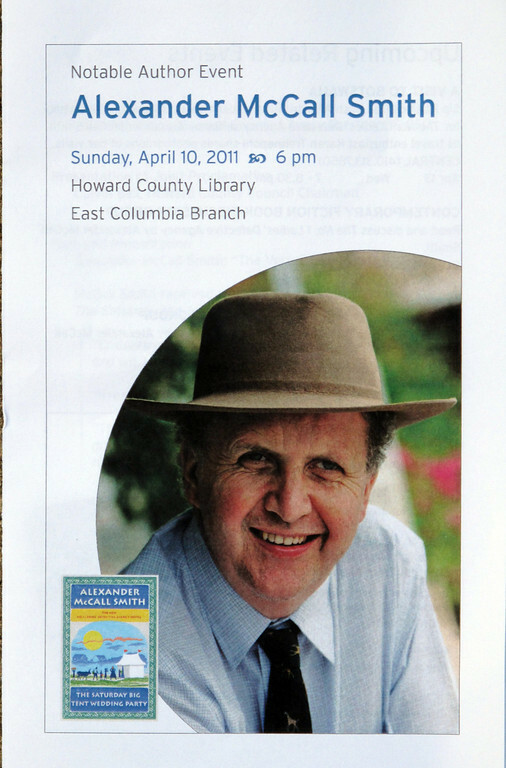 Alexander McCall Smith exited as he had entered, shaking hands with those fortunate enough to have aisle seats. I cannot praise his gracious demeanor enough. And his wit and warmth made for a very memorable occasion! I’d like to put in a word of praise for the way library staff handled this event. The crowd was large, as they knew it would be. It was apparent that plenty of advanced planning had been done. Everything went smoothly, with McCall Smith staying to sign books afterward. President and CEO of the library Valerie Gross thanked him warmly, and thanked the various sponsors who made it possible for the Howard County Library to host the appearance of this internationally acclaimed author. She reminded us that this event was in keeping with the library’s educational mission, and that thanks to the aforementioned sponsors, the many volunteers, and the Friends of the Library, it was offered to the public at no charge. This rant, though slightly incoherent, is nevertheless enough of a broadside that Merrily has to struggle to defend herself against it. It is not easy to be held in contempt by your own child. Many of us have been there, albeit briefly. And Merrily is already plagued by uncertainty and doubt regarding ability to carry out the duties of this new and strange ministry. She’s got problems of a more personal nature as well. But despite what you just read, Jane is not really one of them. Yes, she can be difficult and defiant, but she’s also at bottom deeply loyal to her mother and staunch in her defense. Merrily may have issues with the Church hierarchy and those who administer it, but her faith is genuine. Several times in the course of the novel she feels the impulse to pray that is so urgent, it drives out all other needs. This is a truly religious soul, in search of the succor and acutely aware of the same need in others. When offered the post once styled ‘diocesan exorcist’, the Reverend Merrily Watkins – parish priest and single parent – cannot easily refuse. But the retiring exorcist, strongly objecting to women priests, not only refuses to help Merrily but ensures that she’s soon exposed to the job at its most terrifying. And things get no easier. As an early winter slices through the old city of Hereford, a body is found in the River Wye, an ancient church is desecrated, and there are signs of dark ritual on a hill overlooking the city. There’s more, but I’ll stop there. 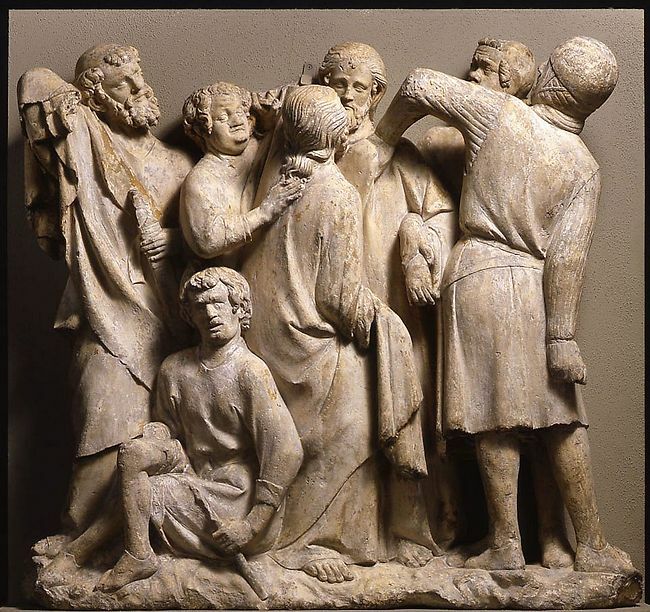 In point of fact, one thing I do remember is that there was a great deal going on and a multiplicity of characters concerned in the proceedings. I found the plot a bit hard to follow, nor were the various plot strands equally compelling. In addition, there were times when the pacing suffered. Clocking in at 537 pages – again, I refer to the paperback – the novel ran long; at least, it did for this reader. They passed the central altar, with its suspended corona like a giant gold and silver cake-ruff. 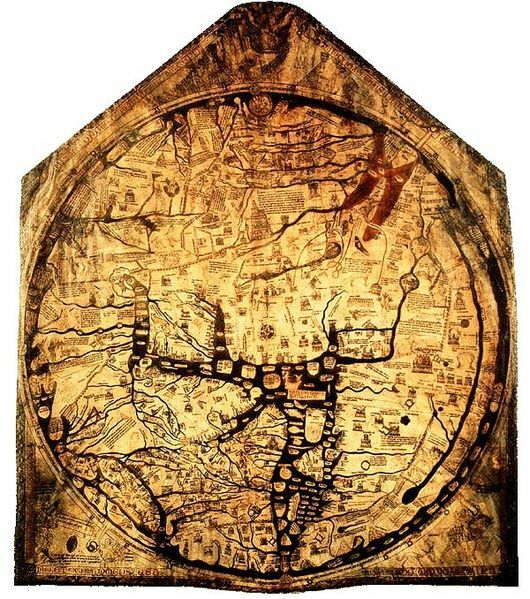 On Saturdays, even in October, there were usually parties of tourists around the cathedral and its precincts, checking out the usual exhibits: the Mappa Mundi, the Chained Library, the John Piper tapestries…. 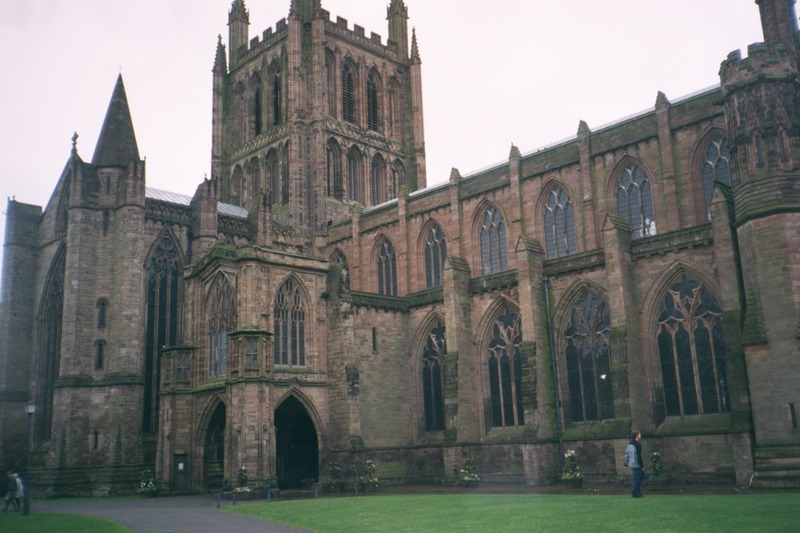 Hereford Cathedral is on the itinerary of next month’s trip. Oh joy! This is what I go to England for, why I love the place so much. 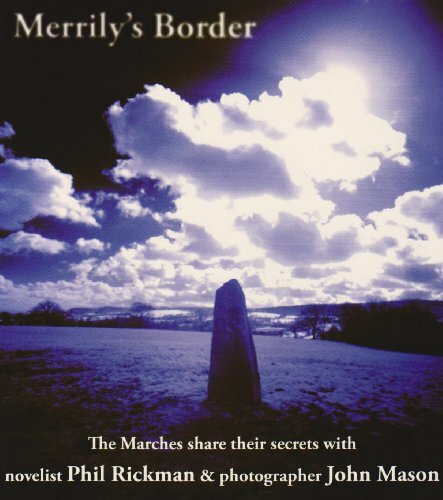 Phil Rickman and photographer John Mason have assembled a beautiful book called Merrily’s Border: . In it, one learns something of the mysterious and intriguing places that abound in the area known as the Welsh Borders (also known as the Welsh Marches). 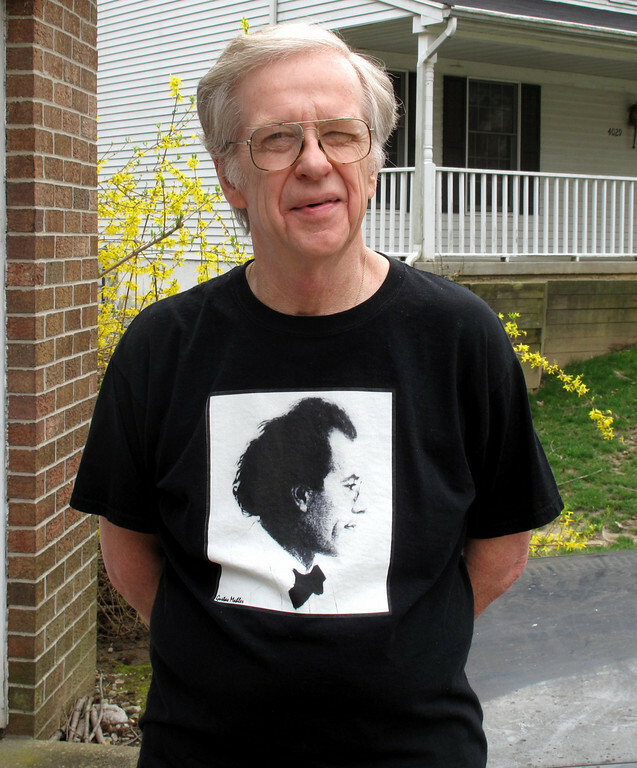 Fascinating people like Alfred Watkins, Nick Drake, and Ella Mary Leather are profiled. 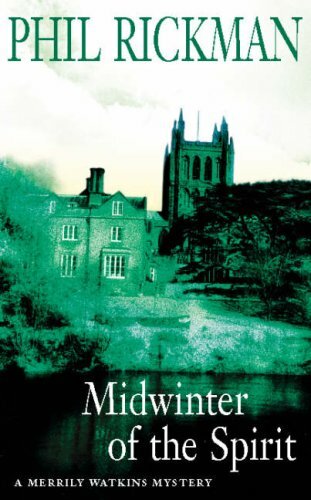 On balance, I liked Midwinter of the Spirit, although not quite as much as the one other entry I’ve read in this series, The Remains of an Altar. That novel had a special appeal for me in that Edward Elgar appears in it – or rather, the ghost of Edward Elgar. In Merrily’s Border, Rickman explains that this came about because he wanted to set the novel in the Malvern Hills, a place he knew he could not write about without mentioning Elgar. Ed, the Worcester piano-tuner’s son who married above his class. Ed, the paranoid perfectionist, insecure, depressive, often in despair over his work. A man who actually loved the country more than The Country. Who wrote brilliant music but is too often associated with words he didn’t write. 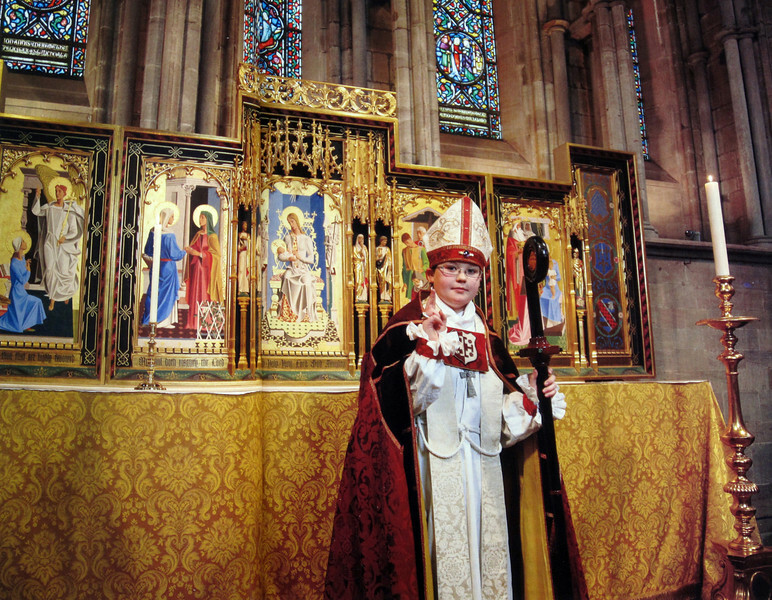 Whose high-Catholicism was sometimes challenged by an instinctive paganism. Whose friend and confidante, for some years, seems to have been his daughter’s white rabbit, Peter. (I wonder where he got that last bit….) The piece that really affected Rickman was the Cello Concerto. This work was playing on the gramophone as Elgar lay dying. He struggled to whistle part of it, then said to a friend who was keeping watch: “If ever you’re walking on the Malvern Hills and hear that, don’t be frightened…it’s only me.” Rickman quotes those words in Remains of an Altar, and I was amazed to find out that Elgar had actually spoken them, while on his deathbed. Our tour group is scheduled to have lunch with Phil Rickman when we’re in Herefordshire next month. I’m greatly looking forward to it. For some time now I’ve been reading glowing reviews of the novels of Deon Meyer. I had not read the books because their South African setting did not interest me – or so I thought. 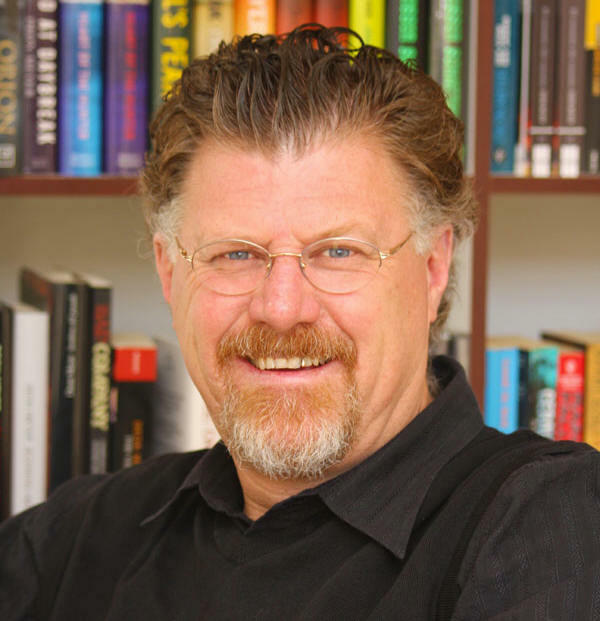 But Deon Meyer will be at the Bristol Crimefest next month – and so will we! So I tackled his latest, Thirteen Hours. This turned out to be a real seat-of-your-pants thrill ride, so hard to put down that I pretty much didn’t until I finished it. South African police have their hands full with two high profile homicides to investigate. One involves the murder of a wayward pop star whose body is found in his home, in the same room with his almost insensate, seriously inebriated wife. The other murder victim is an American teenager. Police soon discover that this hapless young woman had a traveling companion named Rachel Anderson. Rachel has disappeared and police need to find her. They soon discover that she has gone missing quite deliberately: she is running for her life, with some very dangerous men in hot pursuit. To make matters worse, she thinks that the police are in league with these ruthless thugs. It turns out that her fears on that score are not groundless. Meyer paints a fascinating portrait of contemporary South Africa. I was particularly intrigued by the multiplicity of languages spoken by the various characters. Upon consulting Wikipedia, I learned that South Africa now has eleven official languages, as opposed to the two – English and Afrikaans – so designated before 1994. That was the year of the first South African election to include universal suffrage; this landmark event heralded the end of the hated system of apartheid. ‘You want to “brother” and “sister” us all. You want us to be a separate tribe, us coloureds; you’re the kind who goes around complaining how hard it is to be a coloured…. That’s the trouble with this country, everyone wants to complain, nobody wants to do anything, nobody wants to forget the past. Few who lived through it in the early 1990s will ever forget the drama of apartheid’s defeat. Yet since that time, South Africa has not received much press coverage, at least not in this country. So it was with considerable interest that I read about the issues confronting that nation today. I must stress once again, though, that Thirteen Hours is primarily a thriller, not a sociological treatise. 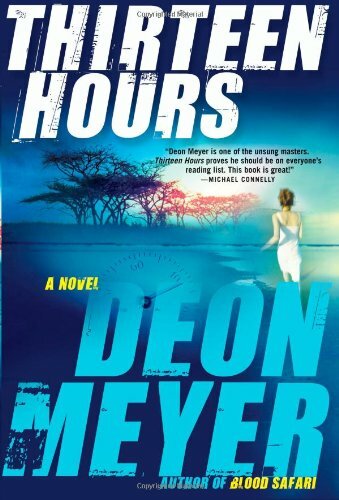 With his deft use of the elements of both, Deon Meyer has produced an unusually compelling work of crime fiction. I’ll certainly be back for more! Johann Sebastian Bach’s Mass in B minor is a long immersion in an alternate reality filled with faith, fervor and almost unimaginable beauty.. When it is finished, one emerges blinking, cast reluctantly back into the real world. But the memory of this unique experience remains, enriching and ennobling. You can visit the Bach Concert Series at their website. If you scroll down to the bottom of the site’s home page, you’ll find a link to the group’s Facebook page. There’s a video segment where you’ll see several still photographs, as the beautiful opening measures of the Mass pour forth. As the founder and leader of this dynamic ensemble, Maestro Dimmock deserves recogntion and gratitude. Presenting this music represents a tremendous commitment of time and effort by these dedicated musicians, but it is also clearly a labor of love. Before the performance, we were privileged to hear a lecture given by the renowned Bach scholar Christoph Wolff. 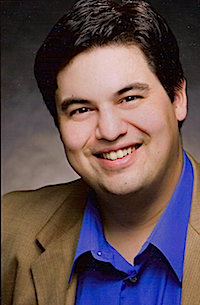 Born and educated in Germany, Dr. Wolff is currently on the faculty of Harvard University. In this excerpt from Michael Lawrence’s film Bach and Friends, Dr. Wolff tells us about Bach’s life. 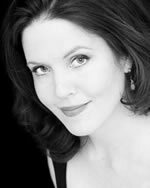 We were most fortunate in our soloists at Sunday’s performance they were Karen Myers, soprano; Biraj Bakakarty, countertenor; David Kellett, tenor; and Ben Bloomfield, bass baritone. Here is the Credo, once again with the Leipzig Gewandhaus Orchestra. 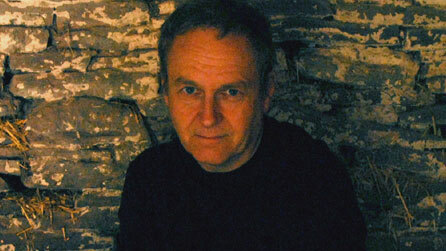 The director is Georg Christoph Biller. 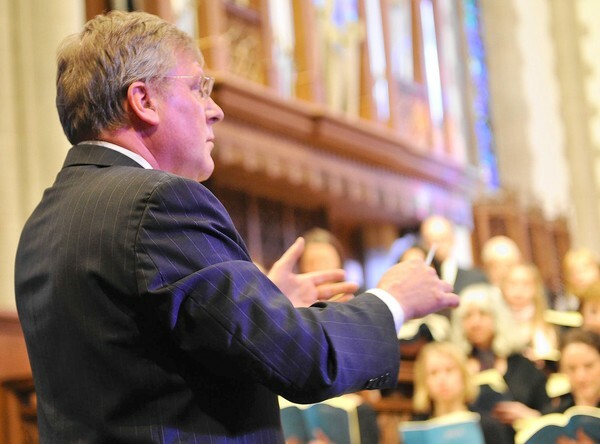 Click here for “Et resurrexit,” performed by the Paris Orchestral Ensemble led by John Nelson. The delicate flute solo at the beginning of the Domine Deus is intimate and meditative, a striking contrast to the big full-on choral movements. The vocalists are Horst Laubenthal and Gundula Janowitz; the Munich Bach Orchestra is led by the great Karl Richter. I recommend watching this on YouTube; the poster’s perceptive comments can be read there. Finally, click here for something completely different: “Mom Watches Bach’s B Minor Mass.” Be sure to read the poster’s explanation of how this film came to made, and also the delighted comments of various viewers.